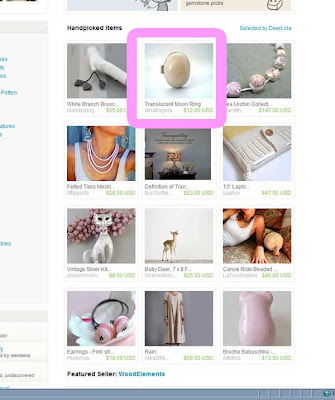 Thanks to Ina from Deerlola, I made Etsy front page yesterday with my Moon Ring. I am also busy preparing for the craft fair I am attending next Sunday in Maastricht. You can check their website there, Craftparking . It is from 1pm to 7 pm. I'll be there along many other Etsians!